Is marijuana more potent today than it was in the 1960′s and 70′s? 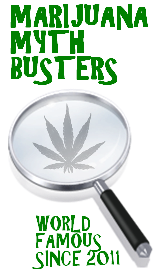 This entry was posted by Mythbuster on July 11, 2011 at 1:43 pm, and is filed under Pot Polls. Follow any responses to this post through RSS 2.0.You can leave a response or trackback from your own site. We hope this doesn’t skew the results. But, we’re definitely on the side that says that marijuana is stronger today. With advances that have been made in terms of cloning different species,more powerful growing techniques such as hydroponics, and the fact that more people are growing inside or in general in more controlled environments has contributed to marijuana potency increasing over the past several decades. Comment with your thoughts, we’d love to hear what some people who have been smoking for longer than we’ve been alive (born in the late 80′s) have to say.